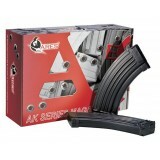 Ares AMOEBA M4 AEG Series is the newest M4 AEG series in the market and suitable for all gamers. Most of the parts (including main frame) are made by durable plastic, which makes this new M4 AEG series be a light-weighted airsoft rifle in the field. 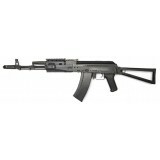 Comes with metal 10.5 inch short outer barrel with a 14mm CW Metal Flash Hider. Comes with a plastic made RAS Free Float handguard. 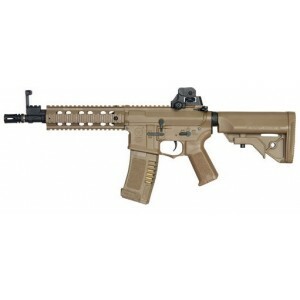 Comes with a railed gas block with foldable front sight and removable rear sight. Adjustable hop up system with a new designed hop up chamber. Comes with an AMOEBA motor grip. 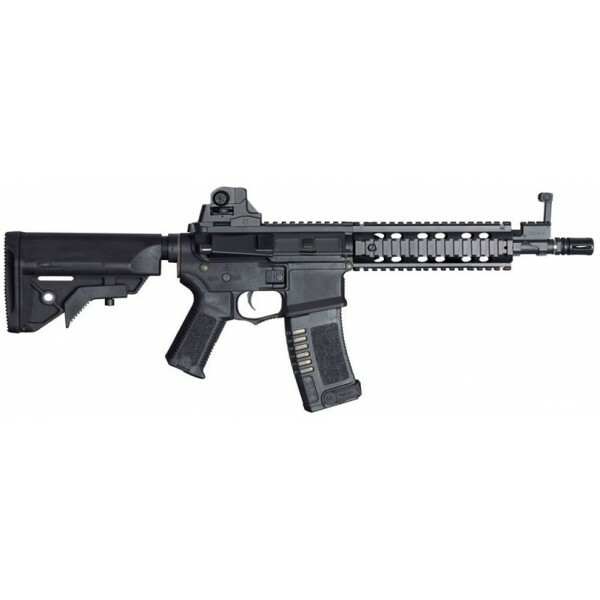 Comes with an AMOEBA MOD type Stock with 6 position Retractable. Store up to 9.6V twin stick type battery / 11.1V Lipo Battery (Small Plug) inside the rear stock. Included 300 rds Plastic AMOEBA M4 Hi-cap Magazine. Gear Box: Ares Custom Ver 2 EFCS Gear Box with Quick Spring change system.